Our personalized faux-linen pillows are perfect for anyone who wants to decorate with a modern feel but still have a touch of rustic charm. We have many designs to choose from; some will coordinate with a shabby chic decor and others will give a contemporary appeal. Make them one of a kind when you personalize with your initial, name, or monogram. 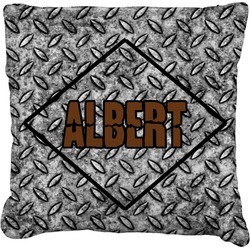 The pillow covers (pillow included) are comfy faux-linen and are available in multiple sizes. The hidden zipper gives the pillows a finished look and the removable cover makes them super easy to keep clean.